With around 70 employees in Belarus, we pride ourselves on being a dynamic organization with a friendly team of professionals. We succeed as a company, because we invest in our products and the development of our people. Nielsen surprised me by its dynamism and readiness to change. During my two years with my Belarusian team, the company moved to a modern office, created a successful and cheerful team and changed approaches to improve work effectiveness. Here you can be yourself and do your best without any borders. 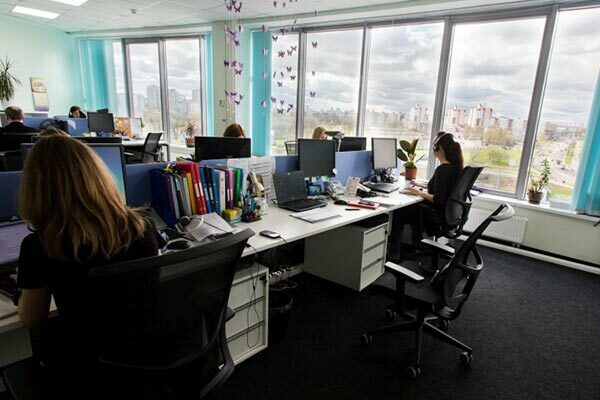 Nielsen Belarus provides a great range of development opportunities for those who are eager to grow and improve. Nielsen gives you the opportunity to provide top companies with a complete understanding of their businesses and the market. It’s always challenging and never boring. Being part of Nielsen is challenging, rewarding and fun at the same time. It really feels like being a member of a family. With the great products we promote worldwide, Nielsen brings value not only to clients, but to industries, countries, regions and people around the world.